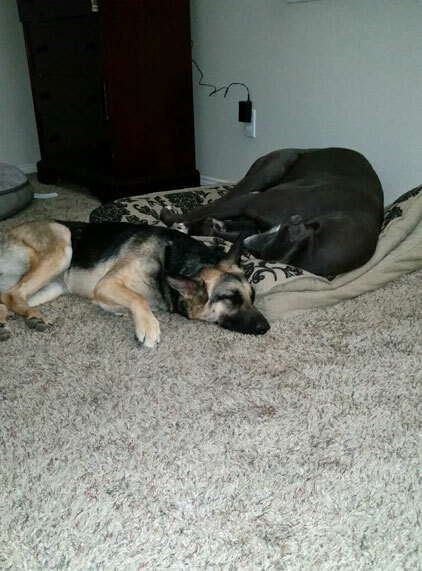 Alum Destiny And Her Great Dane Buddy! wanted to share some photos of Sam (Destiny). She is getting along great with our great dane Justice. She is a very hyper girl who seems to really enjoy going jogging with me. She recently found out what snow is. The only issues she is having is staying on her bed while sleeping. She keeps rolling off but we’re working on it. Thanks for allowing us to bring her home and make her a part of out life.